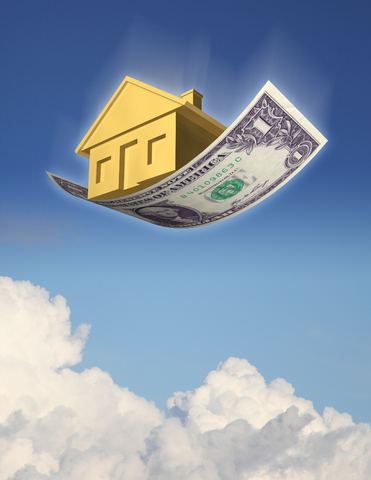 Home Prices Are Falling In Sacramento, Is My Home Insured For More Than It’s Worth? This question has been coming up a lot more often as housing prices have recently fallen in California, especially cities that have experienced rapid growth in recent years such as Folsom, El Dorado Hills and surrounding communities. Insurance companies typically insure a home not for its market value, but its estimated cost to rebuild in the event of a total loss. This cost, which does not include the value of any land, is set and periodically updated, most often by third-party companies such as Marshall & Swift that specialize in estimating dwelling reconstruction costs. The recent decline in home values has created a situation where home reconstruction costs often exceed the combined value of many homes and the property they reside on. Most insurance companies require a home to be insured for its replacement cost for a number of reasons. Most notably, wild fires in the hills of Oakland, California in the early 90’s caused substantial damage to homes and many insured’s were left with insurance policies that had not been updated in as much as 20 years. The event altered the residential insurance landscape and created legislation, including the California Residential Property Disclosure, that increased disclosure between insurance companies and consumers. While the legislation seems to have gone awry in the eyes of some home insurance consumers in light of the depressed housing market, those that have fallen victim to a recent catastrophic claim where their home was properly insured can testify to its benefits. If you are concerned your home may be over or under insured, contact your insurance advisor and schedule a review of your insurance. Paying for insurance you may not need can be just as costly as omitting coverage you do need.